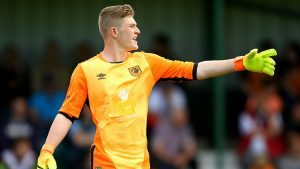 Goalkeeper Mannion was poached from the AFC Wimbledon youth team in June 2016, who 11 months later received a six figure fee as compensation for his development. Will was unused substitute in several Premier League and Championship matches during 2017 before he made his debut in a League Cup tie at Doncaster Rovers, a few weeks after he had attracted the attention of Southampton. Following his first team bow, Mannion gained more experience through loan moves to lower league clubs, spending 2018/19 at Aldershot. Mannion was capped at England under-19 level during 2016 and 2017.